Let us be your lender! Secondary Savings 3, 5, 8 $0.00 Additional savings accounts. 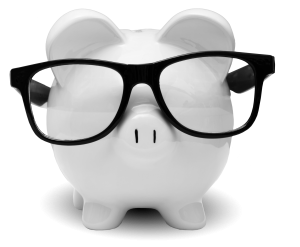 A Secondary Savings allows you the availability to save and allocate funds for specific purpose(s) all under the same member number. Vacation Club $0.00 Save for summer. Funds automatically transfer to your S0 or S4 on July 1st. Deposits only; withdrawal prior to July 1st closes account and incurs $10 fee. Christmas Club $0.00 Save for the holidays. Funds automatically transfer to your S0 or S4 on October 1st. Deposits only; withdrawal prior to October 1st closes account and incurs $10 fee. *Use our unique payroll distribution to allocate amounts from your payroll or direct deposit into any of these accounts. You can change your distribution at any time. And best of all, it's free! To establish membership, you need your original Social Security Card, current Photo ID, and $5.00. Your Primary Share Savings allows you to take advantage of any of our products and services. Enroll in E-statements. Eliminate waiting for your paper statement and allows you to go paperless. Add up to 3 different savings accounts to your primary savings in order to save for specific goals. Using our Payroll Distribution form, allocate any payroll or direct deposit electronically - any amount, any number of accounts, any way you choose! TVFCU's free checking requires no minimum balance. Use your Debit MasterCard for purchases and ATM withdrawals. Add Courtesy Pay to your account to authorize transaction amounts exceeding your balance. Fees apply. Open your free HSA if you are enrolled in a high deductible medical insurance plan. Funds contributed to your HSA are not subject to federal income tax, when deposited through your pre-tax payroll. See your HR department for further details. Access funds by check or online. Funds transfer automatically to your Share Savings Account annually on July 1st. Deposits can be made anytime, for any amount, through payroll deposit, as well as at our teller line. No withdrawals allowed; incur an early closing penalty of $10 for premature close. Funds transfer automatically to your Share Savings Account annually on October 1st. Establish a Share Certificate with a minimum deposit of $500 for a predetermined term. Dividends are paid on the last business day of the month, as per the terms of the individual certificate. TVFCU is federally insured by the National Credit Union Administration.